schöner song, etwas nervig mit der zeit... ihre stimme erinnert stark an avril lavigne. guter durchschnitt. Hat aber das Potenzial mit der Zeit zu nerven. de missy higgins ihri musig hani voereme johr in australie kenne glernt. scar isch dert grad en riese hit gsi und au die nachfolgende singles händs wiit ue id charts gschafft. sie isch e musikerin mit liib und seel und ich hoffe, dass sie eus no einigi johr erhalte bliibt. Erinnert mich überhaupt nicht an Avril Lavigne, ist auch weniger gut. Nicht mein Bier...erinnert eher an Pink. Sehr schöner Song, keine perfekte Stimme, aber sehr eingängig und ohrwurmmässig interpretiert. Toll! A song I never understood why it was so big, irritates me at times to be honest. Pretty good, one of her best. Really good song and a nice debut by Higgins! Great melody, vocals and mix of instruments. A nice change of style to the top of the charts with Missy's first big hit. Awesome track, very cool and catchy, one of her best. Loved it the first time I heard it and still love it today. One of my favourite songs of all time. Thanks Missy. Okay but I've never liked it. Awesome track and one of her best! This is a lovely track, given it's her debut. Was absolutely not a fan at the time. In the past few years I've become far more fond of it. It's fascinating comparing this to other big Aussie chart hits in 2004 and how unique it sounds. Her distinctive accent, the piano and the lyrics are what all capture my attention the most about this. Deserves its status as a 2000s Aussie classic. 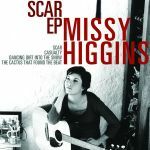 Missy Higgins' music has never suited my taste. Love this. So great that it went #1. Amazing song that burst Missy on to the scene. I absolutely love that bridge, as well as the catchy chorus. Decent and more familiar then expected. She did better after this but gee this is still a mighty pop song. I too love that this did so well.